Request a quote for Clevis Pins today. 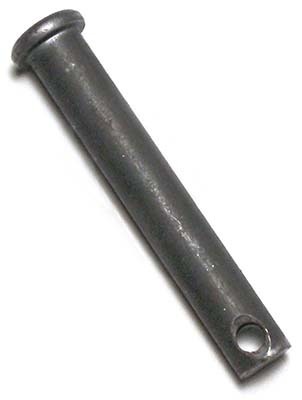 JBF National clevis pins are manufactured from the highest quality plain finished C1010/C1018 steel, and are designed and tested for ultimate reliability and durability. These fasteners (also known as hitch pins) allow for quick engagement and disengagement in lieu of more permanent fasteners like bolts and rivets. Clevis pin design allows for the movement of connected parts around the pin axis while keeping said parts secure via the use of cotter pins.